There are some days of the year I wish would just disappear. Valentines Day was one of them. It got me thinking. Has there always been a Valentines Day? And who thought of it? Or is it mostly a Hallmark gimmick to sell more cards? 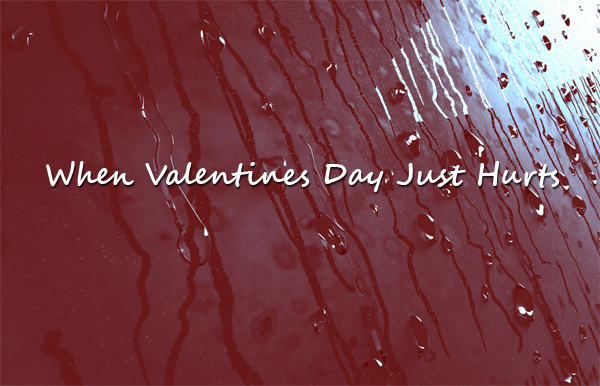 I discovered long ago Valentines Day was originally a liturgical celebration and a feast day. It slowly emerged to a day where lovers expressed their love through gifts and cards. But today it has become so commercialized it is hard to escape from the loneliness this holiday can now represent. Valentines Day can be depressing because not only are you feeling alone but you may also be grieving a failed relationship or marriage. I would like to suggest you take your eyes off of the feeling that you alone and onto how you can spend the day loving yourself. Buy yourself a special Valentines gift. Something small but sweet to remind yourself that you are loved. Have the people you love over for dinner. Have a movie marathon featuring your celebrity crush. If you have kids, make it a family day to shower each other with love and appreciation. Do random acts of kindness throughout the day. Adopt a pet for the day. Give thanks and pay it forward. Babysit for a couple who never gets to go out. Organize a Valentine Exchange with other single friends. Take the day and unplug from social media. These are just a few things you can do to try to take the emphasis off of romance and onto a day about YOU. Valentines Day is a time to celebrate your heart. Romance is fine, but it isn’t the only way to make your heart expand or to create joy and contentment. Don’t hide from the day. Redefine it and celebrate!!! ← What’s Happening at Sonset Point Ministries ?